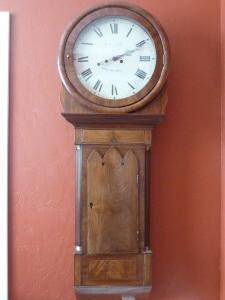 This “Act of Parliament Clock” or Tavern Clock” hangs on the wall and is six feet tall. 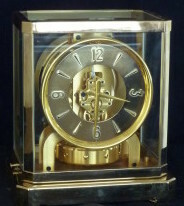 The dial is two feet in diameter. 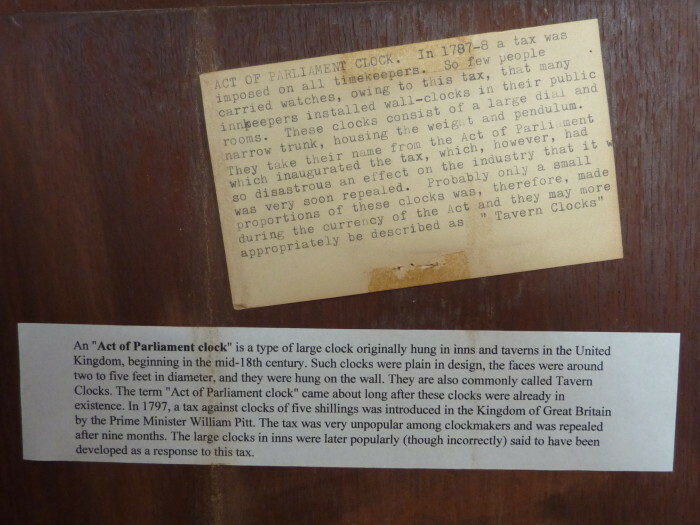 Please read the text that was pasted on the inside of the door (below photo of clock) which explains the origin of the name.